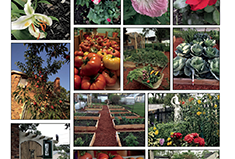 THE FERNDALE GARDEN CLUB WAS FOUNDED IN 1931 as a way for gardeners of all abilities to connect around a shared love for gardening and to share that love with the Ferndale community. The FGC officially joined Michigan Garden Clubs in 1951. The Club includes members of all skill levels, from those with exceptional green thumbs to those just getting started. “What we all have in common is a love for plants and the creatures that inhabit a healthy garden,” said Dominic Scappaticci, President of the Club. Club members hope to inspire others in the community to try their hand at horticulture. They also hope to spread their love for natural, clean ways of carrying out their craft. 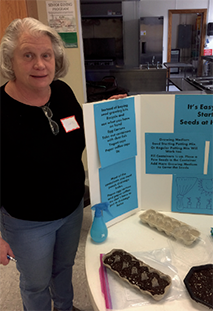 AS PART OF THIS MISSION, the Ferndale Garden Club hosts a number of events in and around the area throughout the year, such as the Think Spring Garden event that was just held on February 23rd. 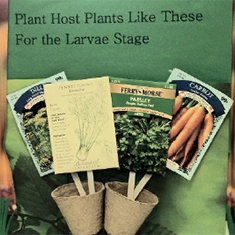 The event offered a chance for those with green thumbs to start preparing for the upcoming season. It included a seed swap, exhibits by local gardening groups, and information about the importance of pollinator-friendly plants. Other upcoming events include a presentation titled “Weeds: Useful and Edible” by Ed Blondin from Hortulus Garden & Landscapes, which will take place at the March 14 monthly meeting held at the Gerry Kulick Community Center, 1201 Livernois, 7:00-8:30 P.M., as well as a native plant presentation that will kick-off the April 11 meeting. The Club created a public garden at the corner of Livernois and Oakridge for the enjoyment of everyone in and around Ferndale. Members continually maintain the space, ensuring it stays alive and well. Gardening-themed books have also been distributed to the local elementary school by Club members so budding gardeners can get their start as early as possible. TO BECOME A MEMBER OF THE FERNDALE GARDEN CLUB, the only requirement is a love for gardening and a nominal annual fee which covers the cost of all of the Club’s activities.